What Should You Ask Yourself before Playing the Lottery Online? It’s totally OK to give any lottery a try. A simple attempt will give you a clear picture if that’s the activity that makes you happy and if you’re having fun playing it. However, before you indulge in playing the lottery online or locally with a more dedicated approach you should ask yourself several questions. The bottom line is you’re either going to be more motivated to do play it or you’re going to realize sooner before later that lottery is simply not your thing. Am I Ready to Go All The Way? It sounds simple, yet this is probably the most important question you need to ask yourself. Playing the lottery online or locally shows good results in the long run. You can win every draw, but that’s not usually the case. That’s why it’s very important that you are prepared to go all the way. Every jackpot has its winner. I know that mine is somewhere out there. That’s why I’m persistent in playing the lottery. I’m disciplined and I will persevere until I get what I deserve. Playing the lottery is a walk in the park; it’s just that it’s a rather long one. 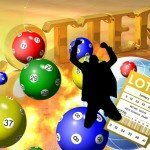 Will Playing the Lottery Online Affect My Daily Activities? Most of us are playing the lottery for fun. And we all know what fun things tend to become if we’re not careful. They can easily become an obsession. There are people who are addicted to the lottery. The main problem behind these occurrences is that they don’t realize this fun thing is not a sprint; instead it’s more of a marathon. During this “marathon” it’s very important not to mix your lottery activities with your private and professional life. It’s how addicts are created. I tend to dedicate 1 to 2 hours per week to check the results and buy my tickets for the upcoming week. I buy my tickets for several draws ahead so I can have more free time for other activities. This way you’ll also have a cool head when coming up with your number combinations. Your hobby can affect your life, but it can be the other way around. Do I Know What It Takes To Play The Lottery Online? In the beginning, I was like, “yeah, it’s pretty simple; I just have to guess the numbers for the draw, right?” Well, yeah, that’s basically it, but if you want to break even without investing any additional money in your lottery budget you should play the lottery with a strategy. Playing the lottery online, especially requires some additional research. There are a very high number of lotteries around the world with different specifications, conditions, prizes etc. Finding the lottery that matches your play style is crucial for your success. Besides that, everything else is pretty much automatized. The software used can provide you with a valid set of numbers for the next draw or several draws at once. You can check results instantly and all previous results are usually stored in case you want to analyze them. However, you will need a valid payment method. I recommend you to get a separate prepaid, debit card or e-wallet where you’ll have all lottery transactions recorded. A decade or two ago the access to statistics was fairly limited. I had to write down the numbers in order to come up with a strategic approach. Today it’s very easy. 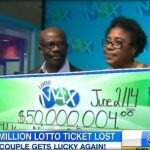 However, some players just jump into playing the lottery without even thinking that there might a way to significantly improve their odds of winning the lottery. Is Playing the Lottery Online the right Thing for Me? Some people find pleasure in playing basketball, other collect stamps, I like playing the lottery online. Ask yourself this, is it worth the time and money invested before proceeding to serious play. The lottery is similar to any other hobby with the chances of winning a significant amount of prize money. It’s exciting and can be rewarding. All you need to do is stick to your plan and wait for your moment to come. I can’t describe you the feeling when I win a prize. I didn’t put almost any effort to win the money. Adrenaline surges to my heart pumping more blood. This feeling is quite similar to the one a tennis player or a soccer player feels when they win a tournament. It’s my goal and I’ve achieved it. 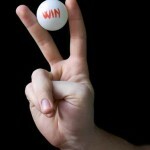 If you don’t think you’ll find satisfaction in playing the lottery online, then you better look excitement elsewhere. It all comes down to this. Do you take yourself as a winner? Do you think you can come on top and win prizes? Yes, this is by far the most difficult question you can ask yourself. Unlike other areas in your life you can improve your odds of coming on top with few minor smart adjustments. You too can be a winner. Maybe there’s a jackpot that’s been waiting for you all this time. Playing the lottery online is an excellent way to prove your friends and family that you too are a winner. It’s as easy as checking your e-mail. 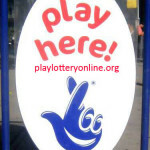 There are a lot of lotteries which accept online players. Use the opportunity and start playing the lottery online. Your time is now. If you don’t take chances you can’t be a winner.